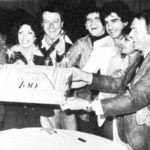 Two weeks ago, the word around town was that Network Ten was ready to revive the ’70s soap opera drama The Young Doctors – with Australian Idol judge, and cast member of the original Young Doctors series Mark Holden ready to sign up to the revived series. However, the story has changed somewhat since then. 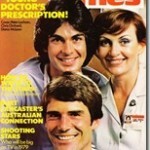 Reports this weekend have said that it will be the Nine Network that takes up The Young Doctors and instead of the stripped weeknight format that Ten was reportedly considering, it appears that Nine will give it a mid-evening timeslot. Mark Fennessey, CEO of Fremantle Media which will make the series for Nine, says that the series remake will not rely on the stereotypical soap-opera tales of the original but will lie somewhere between prime time dramas Grey’s Anatomy and The Secret Life Of Us, which puts it in the same league as other prime-time dramas that aren’t strictly soap but most notably will lead to comparisons to Seven‘s long-running hospital drama All Saints which could be said has a very similar theme to what Nine is proposing now. It will be interesting to see how this new series unfolds but in any case with this and other upcoming titles like Underbelly and Canal Road, it looks like Nine is hoping for a drama-led recovery in 2008 to regain the #1 ranking it has lost to Seven this year.